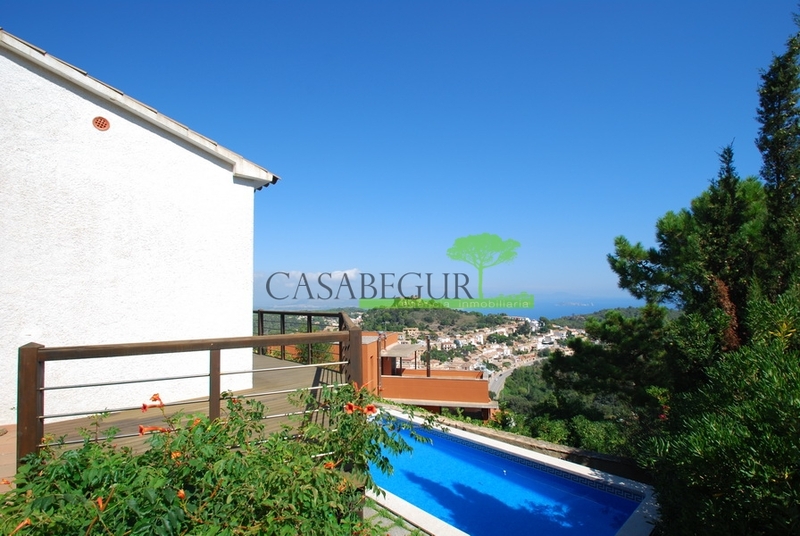 Detached and very sunny property located 1 km from the centre of Begur and 3 km from beaches in a privileged and peaceful area with exceptional views of the sea, the coast, the Medes Islands, the Pyrenees and the imposing Castle of Begur, in a natural setting surrounded by pine trees. 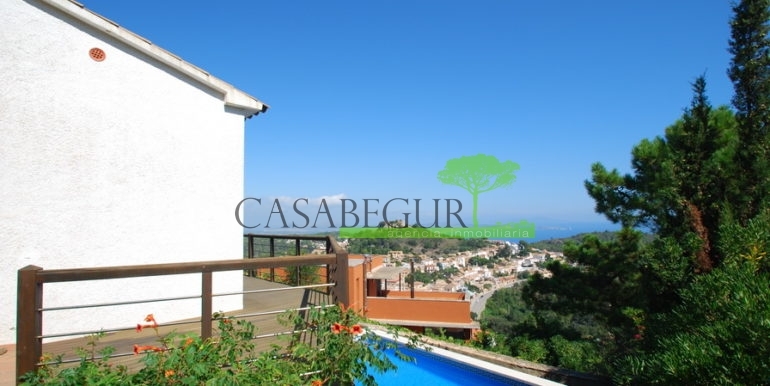 It offers a living/dining room with an enclosed terrace with amazing views, a semi-open kitchen with access to the outside, 3 bedrooms, plus 2 rooms at the bottom that can be enabled for studio, gym or office, 3 bathrooms of which 1 with bath tub and 2 with shower. The house is of traditional style and needs to be renovated. It has several open and covered terraces, one of them enclosed with glass with a wooden roof. 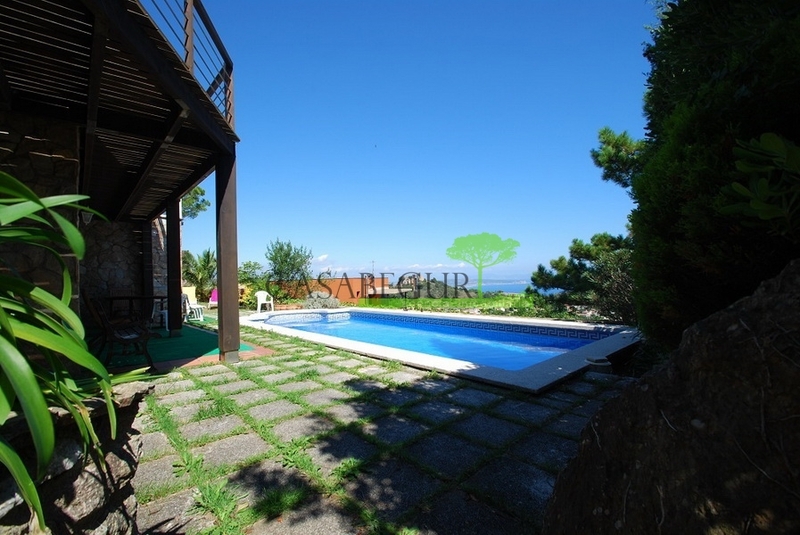 There is a lawned garden with beautiful plants and a private pool with wonderful views to the sea and the mountains. The property offers central heating and wooden windows alternating with PVC and double glazing ones.